I noticed great improvement in???. Why do you think that is? Are there any challenges you can think of that I or your parents could support you better with? I was proud of you when????. What work habits could you improve upon? Independence, Self-Esteem, Confidence and Pride are essential to success, it may be necessary to talk about strategies to enhance these skills between home and school. 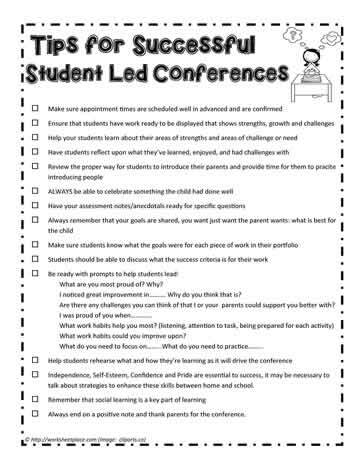 Always end on a positive note and thank parents for the conference.